AECOM is a global provider of professional technical and management support services to a broad range of markets, including water, environment, transportation, facilities, energy, and government. AECOM provides a blend of global reach, local knowledge, innovation and technical excellence in delivering solutions that create, enhance, and sustain the world's built, natural, and social environments. ARCADIS is an international company providing consultancy, design, engineering and management services in infrastructure, water, environment and buildings. We enhance mobility, sustainability and quality of life by creating balance in the built and natural environments. ARCADIS develops, designs, implements, maintains and operates projects for companies and governments. With 21,000 employees and more than $3.2 billion in revenues, the company has an extensive international network supported by strong local market positions. ARCADIS is a recognized leader in ecosystem restoration in the US and around the world. ARCADIS supports UN-HABITAT with knowledge and expertise to improve the quality of life in rapidly growing cities around the world. Atkins has a long history of assisting clients through the maze of environmental regulations concerning waters of the U.S., including wetlands, threatened and endangered species, and water quality. With technical experts in natural and life sciences including hydrology, botany, zoology, limnology and aquatic biology, terrestrial ecology, estuarine and marine science, and resource management, Atkins can support all your environmental needs. Our project experience includes natural systems in wetland, upland, riparian, marine, estuarine, and lake environments. The firm is recognized for its ability to develop and implement comprehensive ecological restoration for a wide variety of natural resources including lakes, rivers, streams, estuaries, and wetlands. We incorporate a wide range of innovative strategies such as fish and wildlife management, pollution abatement using wetland treatment, mitigation banking, monitoring, and adaptive management. In addition, we are frequently called upon to provide specialized expertise in such challenging areas as natural resource damage assessment, and expert witness services. Atkins has an excellent reputation for developing efficient and innovative solutions to complex regulatory problems. We have extensive experience conducting research and investigations, and preparing studies and documents that comply with requirements of the Clean Water Act, Rivers and Harbors Act, Endangered Species Act (ESA), Clean Air Act, NEPA, National Historic Preservation Act, and numerous other federal, state, and local regulations. Since opening its doors in 1982, Biohabitats has helped communities improve water quality, increase wildlife habitat, restore degraded ecosystems, and facilitate educational opportunities through ecological restoration, conservation planning and regenerative design initiatives that are scientifically sound, realistic to implement, and cost effective to manage. Biohabitats’ interdisciplinary team of ecologists, biologists, environmental scientists, landscape architects, planners, and engineers recognizes that nature is a dynamic force that affects people as much as it is influenced by their actions. That is why they approach every project with the understanding that outcomes are most powerful when they support whole, living systems that lead to ecological, cultural and economic benefits. Whether the firm is transforming an outdated stormwater pond into a fully functioning natural wetland, helping a university plan for growth while enhancing the natural resources of its campus, collaborating with elders to restore rivers on tribal land, or regenerating beauty, vitality and ecological function along an urban waterfront, Biohabitats creates solutions are that are comprehensive, fully integrated, and based on an understanding that people, nature, commerce and culture are all inextricably linked. Bluestem Communications researches, designs, implements and evaluates communication and education strategies to connect existing personal values to environmental causes. Our work motivates targeted audiences—like homeowners, business owners and elected officials—to value the role healthy ecosystems play in sustaining quality of life and to take action to protect and restore Earth's natural resources. We partner with other nonprofit organizations, coalitions and agencies to improve their internal and external communications to advance their environmental goals. Employee-owned CH2M HILL is a global leader in consulting, design, design-build, operations and program management for government, civil, industrial and energy clients. The firms’ work is concentrated in the areas of water, environment, transportation, energy, facilities and resources. With $7 billion in revenue and over 28,000 employees around the world, CH2M HILL is an industry leading program management, construction management, and design firm, as ranked by Engineering News-Record and named a leader in sustainable engineering by Verdantix. Please visit us at ch2mhill.com, twitter.com/ch2mhill, and facebook.com/ch2mhill. Brown and Caldwell is a 100-percent environmental firm with 1,500 professionals serving clients locally and globally. We offer full-service delivery of engineering, scientific, consulting and construction services and all the essential ingredients® for a successful project and a standout experience. Service, great technical solutions, and innovation: these qualities were important to our founders in 1947, and they are still essential to BC and our clients today. CRCL is a non-profit advocacy organization whose mission is to restore and protect a sustainable coastal Louisiana. CRCL advocates for the implementation of sound coastal policies and monitors coastal activities to ensure that stringent regulations and enforcement policies are maintained. Incorporated in 1988, CRCL represents a unique mix of businesses, local governments, industries, scientific communities, national and local conservation groups, hunters, anglers and a broad spectrum of concerned citizens who all share a common vision and commitment to the sustainability of coastal Louisiana. The common vision of these varied and diverse interests is the driving strength of CRCL, the most effective and recognized coastal advocacy organization in the state. The Coastal Protection and Restoration Authority's mandate is to develop, implement and enforce a comprehensive coastal protection and restoration Master Plan. For the first time in Louisiana's history, this single state authority will integrate coastal restoration and hurricane protection by marshaling the expertise and resources of the Department of Natural Resources, the Department of Transportation and Development and other state agencies, to speak with one clear voice for the future of Louisiana's coast. Working with federal, state and local political subdivisions, including levee districts, the CPRA will work to establish a safe and sustainable coast that will protect our communities, the nation's critical energy infrastructure and our bountiful natural resources for generations to come. Beyond the Ordinary. Imagine a professional services firm with vision beyond “the ordinary.” A firm with deep subject-matter expertise as well as deep national resources. A firm committed to putting clients at the center of everything it does. That firm is Dewberry. And those qualities are among the pillars of what we call “The Dewberry Way” – a set of guiding principles and values that govern the way we’ve done business for more than a half-century. Our architects, engineers, and consultants – many of whom are internationally recognized authorities – offer a proven track record of providing award-winning services and solutions to a wide variety of public- and private-sector clients. We’ve built long-term, trusted relationships through unsurpassed client service and a dedication to solving today’s – and tomorrow’s – most complex challenges. In the process, we help our clients transform their communities and improve the quality of life. However, the true measure of Dewberry lies in the commitment and caliber of our people. We hope you’ll take the opportunity to meet with us and experience The Dewberry Way first-hand. Dewberry is a leading professional services firm with a proven history of providing architecture, engineering, and management and consulting services to a wide variety of public and private sector clients. These include government agencies, the military community, municipalities, institutions, and corporations. Recognized for combining unsurpassed commitment to client service with deep subject matter expertise, Dewberry is dedicated to solving clients’ most complex challenges and transforming their communities. Established in 1956, Dewberry is a family owned firm headquartered in Fairfax, Virginia, with more than 40 locations and 1,750 professionals nationwide. Dynamic Solutions, LLC is building a better future and a cleaner environment through the expert application of advanced hydrodynamic, sediment transport, water quality, toxics transport and aquatic ecosystem modeling tools. For over 16 years, we have been one of the nation’s leading multi-dimensional surface water modeling firms focusing their modeling practice on restoring and enhancing the ecological viability of their water resources while balancing the needs of mankind. EarthBalance® is Florida’s leading ecological restoration and consulting firm, specializing in restoring, protecting, and managing ecosystems. We take projects from inception through permitting, construction, and regulatory compliance, and we develop ecological solutions that benefit both society and the environment. Our core services include environmental consulting, Geographic Information Systems (GIS), ecosystem restoration, mitigation banking, and native plant supply. EarthBalance® combines the knowledge-based work of environmental consulting with real world implementation of habitat restoration. We utilize industry-leading technologies to achieve optimal restoration results. Established in 1985, EarthBalance® serves clients throughout Florida and surrounding states, with offices in North Port, Central Florida, and Fort Myers. We also operate a native plant nursery, and mitigation banks in DeSoto, Hardee and Sarasota Counties. Staff includes a multidisciplinary team of biologists, ecologists, wetland scientists, a geologist, and GIS/AutoCAD specialists. Restoration teams include licensed herbicide applicators and field technicians who are proficient in restoration design, evaluation, wetland enhancement, exotic and nuisance plant control, plant supply, and ongoing maintenance. Since 1982, ENVIRON has worked with clients around the world to help resolve their most demanding environmental and human health issues. We combine resources across geographic boundaries and technical and scientific disciplines to provide clients with the best, most responsive teams—whether responding to existing challenges, evaluating opportunities to improve performance or seeking to reduce future liabilities. Clients benefit from our unique ability to bring clarity to issues at the intersection of science, business and policy. ESA is a leading environmental science and planning firm committed to the principles of sustainability. We specialize in environmental and community planning, ecosystem restoration design, technical studies and investigations, environmental impact assessment and documentation, and environmental compliance. The firm has offices in San Francisco, Oakland, Santa Cruz, Petaluma, Woodland Hills, Palm Springs, San Diego, Los Angeles and Sacramento, California; Seattle, Washington; Portland, Oregon; and Orlando and Tampa, Florida. To learn more about ESA, visit our website at www.esassoc.com. GEC was established in 1986 in Baton Rouge, Louisiana, as a small engineering consulting firm. It has grown over the years into a firm of national prominence by assembling the talents of a large team of engineering, planning, economic, environmental, and Geographic Information Systems professionals focused on solutions to water and land resources concerns. GEC’s success and growth is based on its reputation as a professional organization that provides complete and proficient services from planning to implementation of projects for private and public clients in all parts of the United States. We provide a wide range of expertise for applications to land and water projects. Services are provided separately or in an integrated fashion, depending on client needs. In keeping with the special needs of GEC's clients, our commitment to our clients is to produce high-quality planning and design documents on time, and within budget. Great Lakes Dredge & Dock Company is America's premier dredging contractor. To create, maintain and restore a wide variety of port and coastal assets – harbors, waterways, rivers, wetlands, beaches, and storm-eroded shores – we use our sizeable fleet of specialized dredging equipment to excavate and transport the full range of underwater soils, including silts, sands, clays, and rock. We work worldwide. Gulf South Research Corporation (GSRC) is a woman-owned, SBA certified disadvantaged small business offering multidisciplinary, environmental consulting services to government and corporate clients throughout the U.S. Initially established in 1984, GSRC was purchased in 1993 by its current owner, Ms. Suna Adam Knaus. Based in Baton Rouge, Louisiana, GSRC has grown to now have subsidiary offices in Tucson, Arizona, and Niceville, Florida. GSRC maintains a professional team of staff members with education, training, and experience in various disciplines such as ecology, plant biology, wildlife biology, horticulture, forestry, wildlife management, community relations, and geographic information systems (GIS). Services provided by GSRC include ecosystem restoration planning and implementation, environmental impact analyses, natural and cultural resources surveys, invasive species management, nursery operations, irrigation system design and implementation, native species revegetation, and habitat monitoring and maintenance. We believe that the way we work adds meaning and value to the world. While we are most well-known for delivering engineering and architecture services – for adding beauty and structure to communities through high performance buildings and smart infrastructure – we provide much more than that. Our experience with ecosystem restoration includes creating, restoring, protecting, and/or enhancing lakes, rivers, streams, wetlands and salt marshes, oyster reefs and shoreline stabilization, bird rookery islands, submerged aquatic vegetation (seagrass) and sandy beaches for bird and turtle nesting. We recognize that the smallest of details can yield the biggest realizations, and that sometimes the most brilliant solutions begin with the utmost simplicity. We have partnered with federal, state and local agencies on many of the largest ecosystem restoration efforts in the United States. These types of projects frequently require collaboration from multiple stakeholders, often in the face of competing interests. We have the experience and diverse skill sets to find innovative ways to support our clients’ vision for long-term ecosystem restoration and management. HDR’s operating philosophy is to be an expertise-driven firm that delivers tailored solutions through a strong local presence. Our ability to draw upon company wide resources and expertise is a great strength in meeting and exceeding our clients’ expectations. Our 8,500 employees, working in 200 locations around the world, push the boundaries of what is possible each and every day. KCI is a 100 percent employee-owned engineering, consulting and construction firm serving clients throughout the eastern and central United States and other locations. Our multi-disciplined services allow us to provide exceptional turn-key expertise to federal, state and local government agencies, as well as institutional and private-sector clients. Operating out of offices in 13 states and the District of Columbia, our professional staff of more than 1,000 offer a full range of documentation, analysis, management, construction, restoration and remediation services centered on protecting and improving the environment. KCI’s clients have come to rely on our breadth of expertise in managing natural and water resources as well as associated geospatial data. Lake Pontchartrain Basin Foundation (LPBF) was established in response to environmental concerns voiced throughout the Basin. As the public’s independent voice, LPBF is dedicated to restoring and preserving the water quality, coast, and habitats of the entire Pontchartrain Basin. Through coordination of restoration activities, education, advocacy, monitoring of the regulatory process, applied scientific research, and citizen action, LPBF works in partnership with all segments of the community to reclaim the Basin for this and future generations. Living Shoreline Solutions, Inc, designs and manufactures Wave Attenuation Devices (WAD®) These devices are scientifically designed and engineered to PROTECT and RESTORE shorelines, sand dunes, spoil islands, and marine aquaculture. They will work to protect roadways, bridges and critical transportation infrastructure. WAD® are portable and adjustable to accommodate dynamic wind and wave conditions. They are durable and stable having been exposed to Category 4/5 Hurricanes. WAD® also provide Essential Fish Habitat (EFH). Please go to www.LivingShorelineSolutions.com for more information or contact Thomas J. Brown, CEO (813)245-9482 or Scott Bartkowski, President (850)375-6522. Louis Berger's Ecosystem Restoration Services Team understands the many benefits of a watershed approach. Our approach focuses on developing strategic watershed-based restoration plans that balance the realities of the future population growth and economic development with the need to sustain increasing strained natural resources. Successfully designing and implementing multifaceted and dynamic environments requires a sound technical foundation and creativity and ingenuity. Our ability to blend science and engineering to recreate nature is a reason we are one of the leading, full-service environmental consulting firms in the United States. With a resource base of more than 5,000 professionals and affiliate employees in more than 90 countries, we can respond to local conditions while providing clients with the world-class scientific and industry experts of a leading global organization. Moffatt & Nichol’s reputation for excellence in the waterfront environment is built on over 70 years of experience with challenging projects. We offer clients a professional and knowledgeable staff of engineers, planners, and scientists who are experts at solving the complex issues that drive coastal, estuarine, and riverine systems. One of the few engineering firms with specialized expertise in these environments, we bring considerable experience in the numerical modeling of the physical processes that challenge projects in these settings in addition to a primary focus on design, engineering, and construction. We routinely develop engineering design criteria for waterfront and marine engineering projects including coastal processes, dredging, beach erosion control, and storm damage protection projects. Our engineers and scientists have expanded their skills to address environmentally acceptable sediment management technologies, environmental dredging, regulatory requirements and highly contaminated sediment removal, remediation, and restoration. We apply state-of-the-practice assessment technologies, models, and predictive technology for visionary solutions to sediment management problems. We have been part of numerous water resources projects to protect and expand these important resources, providing watershed planning & modeling, and stream & wetland restoration design. We have utilized unique techniques and tools for planning and design of ecosystem restoration projects, including the introduction of tidal or fluvial flows through new or redesigned inlets; introduction of mineral sediments and nutrients through diversions; regulation of flows to reduce saltwater intrusion; marsh restoration and vegetation plantings; and shore protection. We have also completed nationally recognized beneficial use of dredged material projects. Our ability to complete planning, detailed analyses, and design of these high visibility projects has been instrumental in their success. The mission of The Nature Conservancy is to conserve the lands and waters on which all life depends. Our vision is to leave a sustainable world for future generations. Today’s society faces unprecedented challenges. Dwindling natural resources, declining economies, a rapidly changing climate and other threats require that all of us begin working together to reach common solutions. More than ever before, we must find innovative ways to ensure that nature can continue to provide the food, clean water, energy and other services our growing population depends upon for survival. Now is a time of opportunity. A time to move conservation from the sidelines of global priorities to the center of the world stage—because human well being depends on a healthy, diverse environment. The NOAA Fisheries Office of Habitat Conservation protects, restores, and promotes stewardship of coastal and marine habitat to support our nation's fisheries for future generations. Our vision is healthy and sustainable habitat that provides a range of benefits for abundant fish and wildlife, commercial and recreational opportunities, and resilient coastal communities that can withstand hurricanes, flooding, and other threats. Parsons Brinckerhoff is a global consulting firm assisting public and private clients to plan, develop, design, construct, operate and maintain critical infrastructure. Our water practice delivers engineeering and advisory services in several core practice areas including: watershed and ecosystem restoration and management, stormwater, hydraulic structures and flood control, wastewater, drinking water, program support, strategic consultancy, and asset management - and is highly attuned to the technical, ecological, and regulatory issues that face the water industry. We help our clients find the right solutions to their challenges through innovative planning and design, deep knowledge of the federal and local regulatory environments, and a unique understanding of the alternative delivery mechanisms available in today's economic climate. Restore the Mississippi River Delta is a campaign to reconnect the Mississippi River to its delta to protect people, wildlife and jobs. Comprised of Environmental Defense Fund, National Audubon Society, National Wildlife Federation, Coalition to Restore Coastal Louisiana, and Lake Pontchartrain Basin Foundation. Sea-Bird Coastal is the leading innovator of instruments designed for long term deployment and in situ nutrient monitoring in some of the most challenging environments on earth. Our cutting edge technology results from combining the experience and capabilities of Sea-Bird Electronics, WET Labs and Satlantic. Sea-Bird Coastal sensors are designed for deployments ranging from 3 to 12 months. Parameters include conductivity, temperature, depth, optical dissolved oxygen, chlorophyll A, turbidity, CDOM, nitrate and phosphate. Monitoring systems include options for external data collection platforms, real time data delivery and web based data visualization. 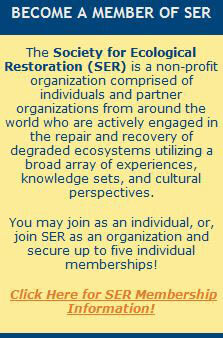 The Society for Ecological Restoration (SER) is a membership based non-profit organization with members in more than 70 nations and 14 regional chapters. SER works to promote ecological restoration as a means of sustaining the diversity of life on Earth and reestablishing an ecologically healthy relationship between nature and culture. 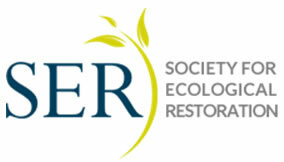 2013 marks the Society’s 25th Anniversary which will be celebrated at SER’s 5th World Conference on Ecological Restoration (SER2013). SER2013 will draw together more than 1,200 experts from around the world interested in the science and practice of ecological restoration. Stanley Consultants has a long history of providing successful engineering services to federal, state and local entities. For over 20 years we have provided design services, assessments, studies, and documentation for the maintenance, preservation, restoration, and sustainability of the nation’s natural resources, ecosystems, threatened or endangered species, and habitats. Our proven environmental experience includes wildlife and aquatic habitat restoration, water control features, impact statements, wetland permitting and mitigation, environmental management systems, land reclamation and natural resources management. We know you must implement your mission requirements while being sensitive to the needs of the environment, monitoring economic conditions, reaching sustainability goals, and staying on top of changing regulations and service demands. Our professional engineers, designers and environmental scientists do not have preconceived solutions for your complex needs. We listen to your concerns and explore all the options to tailor an engineering solution that will work for you now and in the future. Founded in 1981, SWCA provides a full spectrum of environmental services focused on planning, natural and cultural resource management, air quality, permitting, regulatory compliance, water resources and climate change consulting. As an employee-owned firm of scientists, planners, and technical specialists, we combine scientific expertise with in-depth knowledge of permitting and compliance protocols to achieve technically sound, cost-effective solutions for your projects. With more than 27 offices throughout the United States, we offer local expertise but also are able to rapidly pool resources in order to serve your project needs nationwide. For more information visit: www.swca.com. The University of Maryland Center for Environmental Science (UMCES) is the most prominent single institution involved in scientific discoveries about the Chesapeake Bay and its watershed. Although focusing more than 2/3 of its research on this region, the Center's activities are global, involving research from the Arabian Sea to the Yellowstone and from the poles to the tropics. UMCES' scientists include biologists, ecologists, physicists, chemists, geologists, engineers, and economists who work together in a truly trans-disciplinary community. The University of Wisconsin Press Journals Division serves a worldwide community of scholars, researchers, and practitioners through the publication of peer-reviewed academic and professional journals in print and electronic form. We are dedicated to the principle that education and research should influence people's lives throughout the world and our non-commercial approach helps contain costs. Our land management journals include Ecological Restoration, Land Economics, Landscape Journal, and Native Plants Journal. The Press Books Division also publishes a variety of books on restoration related topics including Aldo Leopold, John Muir, Gaylord Nelson, conservation, fishing, and hunting. Ecological Restoration is a forum for people advancing the science and practice of restoration ecology. It features the technical and biological aspects of restoring landscapes, as well as collaborations between restorationists and the design professions, land-use policy, the role of education, and more. This quarterly publication includes peer-reviewed science articles, perspectives and notes, book reviews, abstracts of restoration ecology progress published elsewhere, and announcements of scientific and professional meetings. Native Plants Journal is dedicated to dispersing practical information about planting and growing North American native plants for conservation, restoration, reforestation, landscaping, highway corridors, and related uses. Its articles are helpful to growers and planters of North American native plants and contribute significantly to the scientific literature. The second issue of each year includes the Native Plants Materials Directory which provides information about producers of native plant materials in the US and Canada. NPJ began in January 2000 as a cooperative effort of the USDA Forest Service and the University of Idaho, with assistance from the USDA Agricultural Research Service and the Natural Resources Conservation Service. URS Corporation is a leading provider of engineering, construction and technical services for public agencies and private sector companies around the world. The company offers a full range of program management; planning, design and engineering; systems engineering and technical assistance; construction and construction management; operations and maintenance; information technology; and decommissioning and closure services. URS provides services for federal, oil and gas, infrastructure, power, and industrial projects and programs. The USDA Natural Resources Conservation Service (NRCS) works with private landowners and managers through conservation planning and assistance designed to benefit the soil, water, air, plants, and animals and result in productive lands and healthy ecosystems. NRCS is committed to conserving Louisiana’s coastal wetlands, and since the inception of the Coastal Wetlands Planning, Protection, and Restoration Act (CWPPRA), NRCS has served as a member of the multi-agency task force providing oversight and implementation of CWPPRA projects. The Walton Family Foundation promotes environmental solutions that make economic sense for communities and their natural resources. The foundation works to achieve change that lasts by creating new and unexpected partnerships and bringing conservation, business and community interests to the same table to build long-term solutions to big problems. The Walton Family Foundation invested $93 million in environmental initiatives in 2013. A majority of the foundation’s grants are made to organizations and programs that pursue lasting conservation solutions for oceans and rivers while also recognizing the role these waters play in the livelihoods of those who live and work nearby. The foundation divides its environmental giving into two initiatives: Freshwater Conservation, which works to sustain healthy and resilient communities of both people and wildlife in the Colorado River Basin and along the Mississippi River from its headwaters to the delta; and Marine Conservation, which supports initiatives that create economic incentives for sustainable resource management in some of the world’s most ecologically rich ocean areas, from Indonesia to Ecuador to the Gulf of Mexico. The Water Institute of the Gulf, located in Baton Rouge, Louisiana, is a not-for-profit, independent research institute dedicated to advancing the understanding of coastal, deltaic, river and water resource systems, both within the Gulf Coast and around the world. The Institute’s mission supports the practical application of innovative science and engineering, providing solutions that benefit society. By integrating applied research, linking knowledge to action, and building partnerships, The Water Institute drives innovation in coastal restoration and hurricane protection. Through an array of applied research projects, The Water Institute spurs innovation in coastal science and engineering, generating new ideas and evaluating how cutting-edge approaches can make a difference. Our multidiscipline experts analyze many of the toughest issues facing coastal and deltaic regions in order to better guide policymakers and natural resource managers. The range of expertise of our team members is extensive, including adaptive management, community resiliency, field investigations, coastal engineering, riverine and coastal modeling, as well as monitoring. To learn more about The Water Institute, please visit www.thewaterinstitute.org. Westervelt Ecological Services (WES) brings together a commitment to stewardship from one of the oldest privately-held forest companies, The Westervelt Company (est. 1884), and an experienced staff of mitigation planners to develop conservation and mitigation banks from coast to coast. Weston Solutions delivers integrated and sustainable solutions for environmental restoration, property redevelopment, design/build construction, green buildings, and clean energy. Weston can help develop solutions to maximize the value of your resources and turn environmental responsibility into economic growth. We help clients restore productive assets to build a stronger economy and a healthier ecology. YSI, a subsidiary of Xylem, designs, engineers, and manufactures precision instruments for environmental conditions and water quality measurement. YSI provides solutions for environmental water monitoring, sampling, and laboratory applications. YSI delivers the most technologically advanced self-contained and integrated remote underwater observation systems, environmental monitoring buoys, telemetry, water quality and velocity sensors in the world. Learn more at ysi.com. This page is designed and maintained by the UF/IFAS/OCI Graphics Editor and Webmaster.